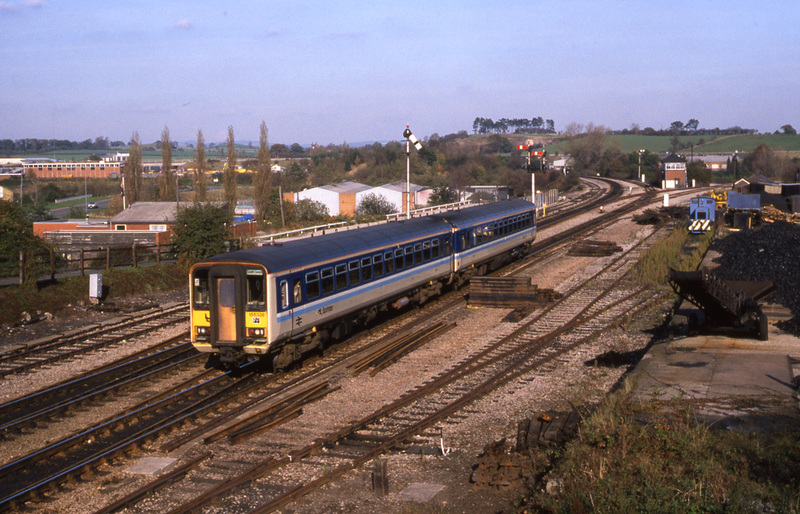 Forty-two (42) two-car diesel multiple units of class 155 were built at during the period 1987/88. During 1991/92 the first thirty-five (35) units (cars nos.52301-35 and 57351-85) were converted at Kilmarnock (by Hunslet-Barclay Ltd) into single car class 153 units at Kilmarnock. 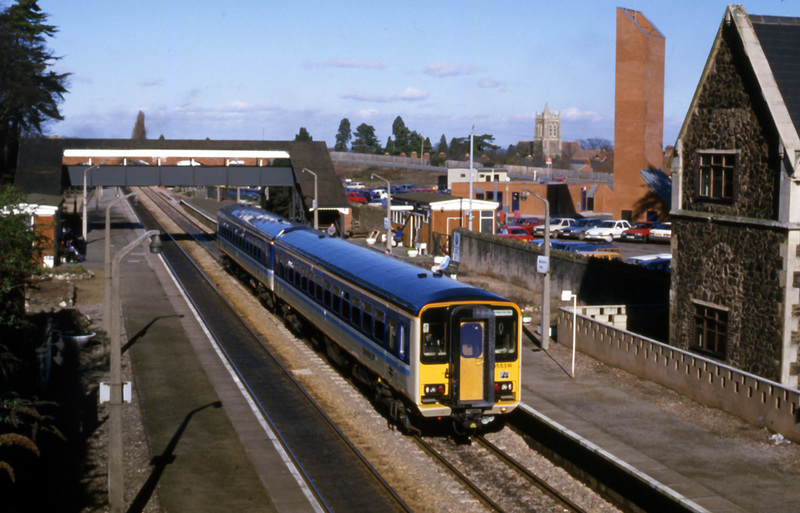 A few of the class 155s operated services in Worcestershire before conversion. When virtually brand new class 155 two-car 'Sprinter' diesel multiple unit No.155316 was photographed by Robert Pritchard at Malvern Link Station on the 11:32 Birmingham New Street to Great Malvern service on 16th February 1988. Class 155 'Sprinter' diesel multiple unit No.155328 in BR Provincial livery approaching Droitwich Spa Station on 30th October 1988 with the 12:20 Sundays only from Birmingham New Street to Worcester. Confusingly to intending passengers the destination board on the front of the unit suggests that the train is going to Cardiff Central. The locomotive in the sidings on the right hand side is Underwoods Ruston and Hornsby built diesel shunter.